by Peters, Edgar E., Peters, Edgar E.
Peters, Edgar E., Peters, Edgar E.
"...smart traders understand complexity theory. And with the help of this book, you may too....Reading this book will tell you a lot more than just how successful markets work. By accepting uncertainty's critical role in a healthy market, you will re-examine your approach to bother trading opportunities and risk management of those opportunities. 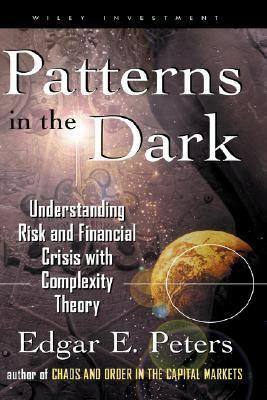 "Peters, Edgar E. is the author of 'Patterns in the Dark Understanding Risk and Financial Crisis With Complexity Theory' with ISBN 9780471239475 and ISBN 047123947X. Loading marketplace prices 76 copies from $0.75 How does the rental process work?